– Fayetteville-Manlius coach Bill Aris talking after his team made a historic sweep of the boys and girls race at Nike Cross Nationals. Runner guys who are interested in dating, where do I meet you? TCU and Baylor out! Ohio State in! LRC Unbelievable: Fayetteville-Manlius Sweeps Boys’ & Girls’ Titles At NXN High School Team Nationals The F-M girls were upset last year to snap their streak of seven straight NXN titles but they’re back on top in 2014 and had some company on the podium; the F-M boys, runners up in 2004 and 2010, broke through to win their first NXN title. Individually, Tanner Anderson (15:11) and Allie Ostrander (17:19) got the wins. *MileSplit: Tanner Anderson’s Individual Sacrifice (Not Racing FL) Rewards Him Well In addition to the individual win, his team got 3rd. 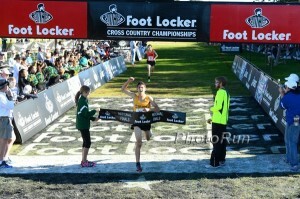 *FM SWEEPS NXN BOYS & GIRLS! *Wayzata in 9th at 4k, finishes 2nd?! And only ranked 24th in Dyestat??!! IAAF Profile On US 400m Sprinter Francena McCorory, Who Had A Breakthrough 2014, Winning World Indoors, US Champs And The IAAF Continental Cup She wants to be a mortician after she retires from track, joking that her customers wont complain and it has great job security. Haile Gebrselassie Thinks The Marathon WR Will Be Under 2 Hours In 10 Or 12 Years Geb is running the Singapore 10K on Sunday and although he DNFed and DNSed his last two races, he promises to finish this one. Katie Mackey Blogs About Her Experience Racing The Beer Mile Says her lack of beer chugging experience let her down. Former WR Holder Patrick Makau Vs. Defending Champ Martin Mathathi At Fukuoka Marathon Makau hasn’t ran a marathon since he bombed a 2:14 at London 2013. 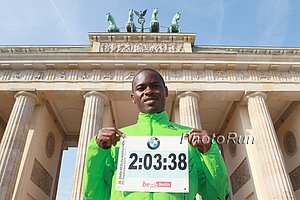 He and Mathathi (2:07:16) face a deep field including 2012 winner Joseph Gitau (2:06:58) and Poland’s Henryk Szost (2:07:39). The race also features top Japanese runners as it is a selection race for their 2015 World team. CIM Preview: Renee Baillie Aims For CR And Win In Her 2nd Marathon She ran 2:27:17 in her debut at Chicago 2012. Here, she is the favorite over two 2:33 international runners. The men’s field has a slew of sub-2:13 runners including NAU alum Jordan Chipangama (2:12:22). Sunday: Singapore Marathon: Ethiopian Abrha Milaw Asefa (2:07:46) Looking To Break Kenya’s 12-Year Winning Streak; Haile Gebrselassie Racing 10K He’ll face Kenyans Samuel Maswai (2:08:52), Kenneth Mungra (2:07:36), Jarius Chanchima (2:07:46) and Luka Kipkemboi Chelimo (defending champion) and others. Ethiopians Netsanet Achamo (2:24:12) and Misikir Mekonnen (2:25:21) lead the women. The Biggest Doping Scandal In Russian History? LRC Olympic And World 800 Champion Mariya Savinova Implicated In Massive Russian Doping Scandal German journalist Hajo Seppelt has come up with another stunner. Secret recordings look really bad for the Olympic champ. Plus it’s alleged that World Marathon Major champ Liliya Shobukhova paid out $600,000 in bribes that the IAAF Treasurer was aware of. How high up the food chain did that go? Russian Athletics Federation President Valentin Balakhnichev Calls German TV Documentary “A Pack Of Lies” RUSADA managing director Nikita Kamaev said there was no evidence for any wrongdoing. Allegations Include That Russian Officials Supplied Banned Substances And Falsified Tests In Exchange For 5% Of An Athlete’s Earnings Yulia Stepanova said athletes to avoided out-of-competition testing by using fake names while training abroad. UK 400 Hurdler Dai Greene Feels Doping Claims Must Be Acted On And Not “Swept Under The Carpet” He even went so far as to urge nations to boycott events in protest. 42-Year-Old Australian High Jumper Nick Moroney Has Cleared 2.10m (~6 Feet, 10 Inches) Or Better Every Year For The Past 25 Years He has 7 national titles to his name and at his best regularly cleared 2.25m, finishing 4th at the 2002 Commonwealth Games. Now he says the streak is a “big thing” for him. WADA Signs Collaboration Deal With US Pharmeceutical Company Pfizer The company will give WADA a heads up about new products with a potential for athletics performance misuse. LRC Three Thoughts On The Flotrack Beer Mile In Austin We explain why the WR holder isn’t in Austin, expose some rule shenanigans and more. *MB: Elizabeth Herndon runs fastest-ever women’s time of 6:17 It wasn’t on a standard track, though, so consider this the equivalent of a Boston time. Katie Mackey ran 6:55. *MB: Corey Gallagher wins in 5:00.23 Nick Symmonds only managed a 5:41. Pre-Beer Mile Interview With Symmonds Talks about how non-runners are more interested in his beer mile than his sub-4 mile PR. IAAF Profile On Top Steepler In 2014, Kenya’s Jairus Birech (7:58) Birech hopes to make his first Kenyan championship team for 2015 Worlds and get the win, taking after his cousin Alfred Kirwa Yego, who was the 2007 800m World champ. 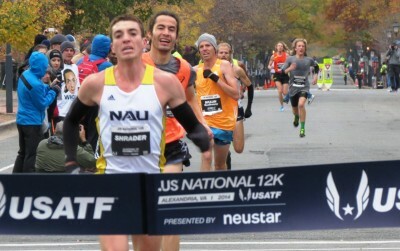 LRC NAU’s Brian Shrader Talks About Surprise Win At The .US 12K Championships, Living His Whole Life At Altitude And Possibly Having To Turn Down $20,000 In Prize Money We catch up with the NAU senior who’s raised himself to a completely different level this fall, going from a collegian who hasn’t made an NCAA outdoor meet to a US champion and American record holder. Kenya: Asbel Kiprop Putting World Titles In 2015 Ahead Of World Record The article also notes that Kiprop’s dad, David Kebenei, was the Kenyan national champ in 1990. Japan: Waseda University Ekiden Head Coach Watanabe To Retire In March Waseda is the University of Oregon of Japan and the coach is only 41 years old. Phoebe Wright Blogs: The Good, Bad And Ugly Of Dating A College Teammate Long story short, she says you probably shouldn’t do it, but will anyway. Talk About A Bad Break-Up: Olympic Figure Skating Medalist Carolina Koster Is Facing 4-Year Ban For Helping Her Former Boyfriend Dope Allegedly she was complicit in Olympic race walking gold medalist Alex Schwazer‘s doping and even helped him avoid a drug test. Men’s Results: Steepler Chris Winter got the win as his fiancee Rachel Cliff was second on the women’s side (Rachel Hannah the winner) as they attempted to sweep the titles. It wasn't easy but the former world record holder got the win after Mongolia's Bat-Ochir made him earn it. Bat-Ochir was third in 2:08:50 a Mongolian record. Russian Athletics Federation Considering Legal Action Over German Doping Documentary Whenever someone accuses you of something: Step 1 – Deny. Step 2 – Threaten to sue. UK’s Dai Greene Not Surprised About Russian Doping Allegations He says many athletes already suspected the Russians since they often don’t race at all on the circuit and then just turn up at major championships. 2016 Olympic Trials Marathon To Feature A Record $600,000 In Prize Money This is good news since the problem everyone had with LA hosting was that they reportedly were offering $100,000 less prize money than Houston. Hopefully this means LA stepped up and matched or offered more than Houston’s original bid. GB’s Phil Anthony Runs 100K Treadmill WR He broke the 10-year-old record with 6:40:35 (6:26 pace for 62+ miles). Wilson Kipsang Still Waiting To Be Presented With His WMM $500,000 Check Because Of Rita Jeptoo Case Assuming Kipsang passes his post-NYC drug test, he’ll be transferred the money soon, but the postponed presentation ceremony date is uncertain. German Athletics Federation President Calls For Reform To Selection Process After Qatar 2019 Worlds Decision He has a problem with the human rights issues in Qatar as well as the financial incentive part of Qatar’s bid. Michael Johnson Says To Give Doha A Chance He also talks about the first-ever European Games, which are next year. NCAA Champ Kate Avery Will Run Euro Cross Champs On Dec 14th Sadly, the Brits go to this event every year (as they can do well) but wimp out of World XC. Other former NCAA runners include Tom Lancashire and Luke Caldwell. Good Profile Of Olympic TJ Champ Olga Rypakova Of Kazakhistan The former multi-eventer picked up the TJ by accident. Now she’s on the comeback trail after giving birth to baby #2 in 2013. Ridiculous Comparison: Some Are Comparing St. Louis Rams Players Protesting Michael Brown Grand Jury Decision With John Carlos And Tommie Smith At 1968 Olympics John Carlos is interviewed. Runners Given Placebo Injection Instead Of Drug Similar To EPO Improve Their Performance Placebos work. AP: History Might Work Against LA’s 2024 Olympic Bid A look at the pros and cons of the Olympics going to LA for a third time. Foot Locker Regionals: Dominant Victories In All 3 Regions, Including Wins By Past Champs Fisher, Rohrer The closest race in all 6 races on Saturday was defending champ Grant Fisher‘s 9-second win in the Midwest. Anna Rohrer, the 2012 champ, who has battled injuries the last 2 years, won the Midwest in impressive fashion. Top 10 in all the regions here. Olin Hacker, son of former NCAA and USATF XC champ Tim Hacker, also qualified. *Are the Hackers The First Foot Locker Father-Son Qualifiers? Good News: Asbel Kiprop Calls For Jail Time For Dopers “Those found guilty should serve a long jail term in addition to the ban,” said Kiprop. Bad News: The same article above reveals a Kenyan high school got a rubberized tartan track. Once the Kenyans get soft like the rest of the world, forget about dominating. British Journalist Writes About Running One Of The World’s Greatest Road Races – The Great Ethiopian Run 37,000 runners run this thing and Haile Gebrselassie said they could have 200,000 there is so much demand. Haile G had to buy a Great Run T-shirt off the street. 9 Months Later: Andrew Bumbalough Reinstated To US Indoor Results; New Rule Adopted To Allow Changes 72 Hours After A Race Yes, children have been conceived and born in the time it took them, but USATF finally gave Bumbalough back his 8th place 3K finish. *MB: Andrew Bumbalough DQ Reversed! Finally! USATF Board Of Directors Vote To Replace Bob Hersh On IAAF Council With Stephanie Hightower They chose to reject the 85% of USATF membership who voted Hersh for the position. Dwight Phillips To Chair USATF Athletes Advisory Committee Phillips will replace Jon Drummond. The Eugene Register-Guard does some good journalism on the Worlds 2019 bid, the Foot Locker Final fields are almost set, some guy runs 1:45 in December, Andrew Wheating runs 13:59, and the Olympic mascots are here. WADA To Investigate Doping Allegations WADA says they already have some evidence and sent it to the IAAF and are waiting for them to act. 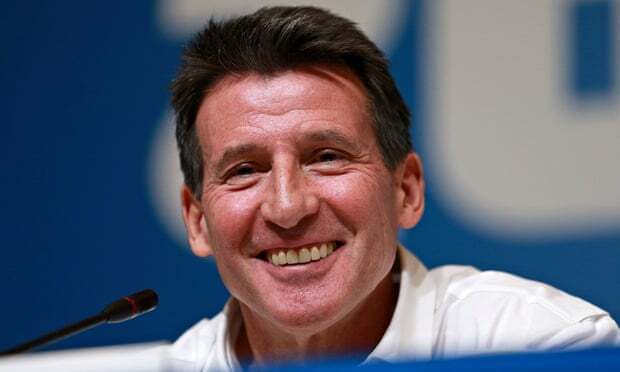 Coe Wants To Make It More Difficult For Athletes To Transfer Allegiances From One Country To Another He wants to end transfer of allegiance for financial exchange. USATF Reports It Almost Doubled Its Annual Revenue In 20014 CEO Max Siegel announced an increase from $19 million in 2013 to an $35 million this year. Largely thanks to new marketing partnerships the renewal deal with Nike. Prize Money Announced For 2015 USATF Marathon Championship In Los Angeles $150,000 total prize purse. Oxy HOKA ONE ONE 2015: USATF Announces HOKA ONE ONE As Title Sponsor Of Middle Distance Classic Prize money for the Oxy meet, now known as the HOKA ONE ONE Middle Distance Classic, will double and it will be on free on USATF.tv. Jenny Simpson To Return To Boston’s New Balance Indoor Grand Prix On February 7 Simpson first competed at the event as a HSer in 2005. Q&A With Stanford Frosh Anna Laman, Who Ran 4:13 At Age 15 The Aussie frosh was 76th at PAC-12s but is pleased to have gotten a base for the first time in years. Toni Reavis Fondly Recalls A Trip To Borneo In 1991 For The Richest Road Race In The World – The Borobudur Run 10Km The race had a $1 million bonus. Priscah Jeptoo Wants To Do London And World Champs In 2015 After a 7-month break, she was dominant at the 15km Zeven Heuvelen Loop race in the Netherlands. Myles Marshall And Irene Obera Named USATF 2014 Youth And Masters Athletes Of The Year Myles won the 800 at the 2014 Youth Olympics and his mom is Debbie Grant, who was has a 2:00.81 PR and was 4th at the 1988 Olympic Trials. His father is 1984 Olympic 800 runner John Marshall (1:43.92). You Blew Your One Chance To Beat Shalane: Shalane Flanagan Runs 26:55 5k As The Guest Of Honor At The Back The Track 5k To Bring A Track To Her Hometown Shalane ran with a Go Pro. Mary Wittenberg, Joan Samuleson and Tom Grilk (head of BAA) also ran. LA, Boston, DC, San Fran. 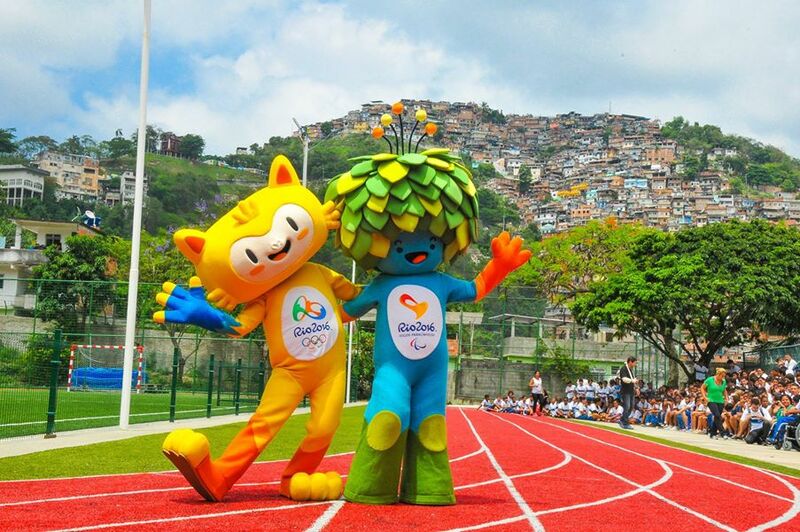 Are The Four US Cities Bidding For 2024 Olympics A US candidate will likely be announced at the start of 2015 and could face bids from South Africa, Paris, Rome, and Doha. Austin Tamagno To Run Foot Locker Regionals Instead Of Joining His Team At NXN Nationals This Weekend NXN is a great event, but being old school we love the fact the Mt. SAC course record holder is going for the Foot Locker title. Catching Up With Horace Ashenfelter, USA’s 1952 Olympic Steeplechase Champion Ashenfelter is 91 years old and Elliott Denman caught up with him at the Ashenfelter 8K Classic in New Jersey on Thanksgiving. Japan Weekend Track Results: 11 Go Under 28:00 In The 10,000 At Hachioji Long Distance Time Trials Meet Ethiopia’s Million Zewdie won in 27:36.35 while Japan’s Tetsuya Yoroizaka was 4th in 27:38.99, the #5 fastest Japanese time ever. At another meet, Kenyan Sally Chepyego won the 5,000 in 15:08.31. IAAF Weekend XC Coverage: World XC 5th Placer Timothy Toroitich Wins In Spain, Dominating Over Emmanuel Bett And World XC Champ Japheth Korir At the Cross de L’Acier in France, Senbere Teferi got a comfortable win as Euro XC Champ Sophie Duarte was 4th ahead of Ireland’s Fionnuala Britton in 5th. Gemma Steel Wins UK’s Euro XC Champs Trials Over Emelia Gorecka Callum Hawkins won the men’s race as sub-2 800 runner Jessica Judd won the junior race. Yuki Kawauchi Wins Road 3K In 8:47 And Then Loses In Half Marathon The Next Day Kawauchi ran 63:30 losing to Yuma Hattori‘s 63:37. IAAF Recap Of Final Days Of Central American And Caribbean Games: WJ Champ Caterine Ibarguen Keeps Her 2+ Year Winning Streak Alive The last time Ibarguen lost was the 2012 Olympics where she was 2nd. She set a MR with 14.57m. Cuba’s Andy Gonzalez defended his 800m title, running 1:45.73 to beat Colombia’s Rafith Rodriguez by .01. Gonzalez also won the 1,500 over Mexico’s Pablo Solares. Cuba dominated the overall medal count.